Interboro– long handle, made of white bristle, which is the perfect brush for oils. 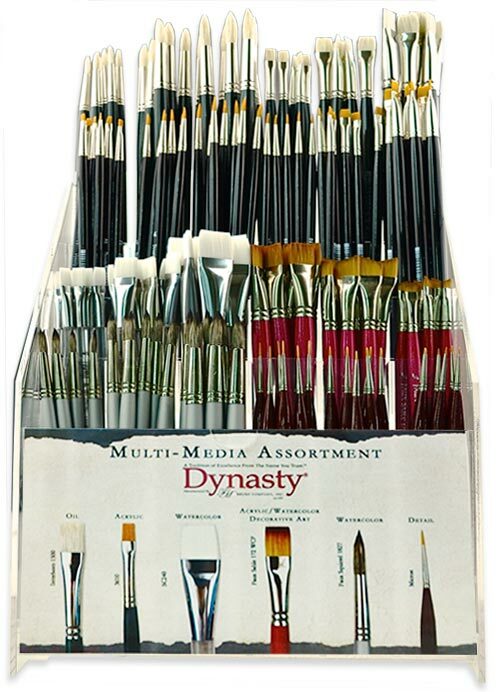 3610 Series– long handle, made of golden nylon, which is perfect brush for acrylics. SC240– short handle, made of white nylon, which is an excellent brush for watercolors. Faux Sable– short handle, balanced multi-diametered synthetic for use with acrylics and watercolors. Faux Squirrel– short handle, made of a techno-synthetic that mirrors pure squirrel excellent for watercolors. Micron– short handle, made of a golden nylon, which is the perfect brush for your most detailed work. 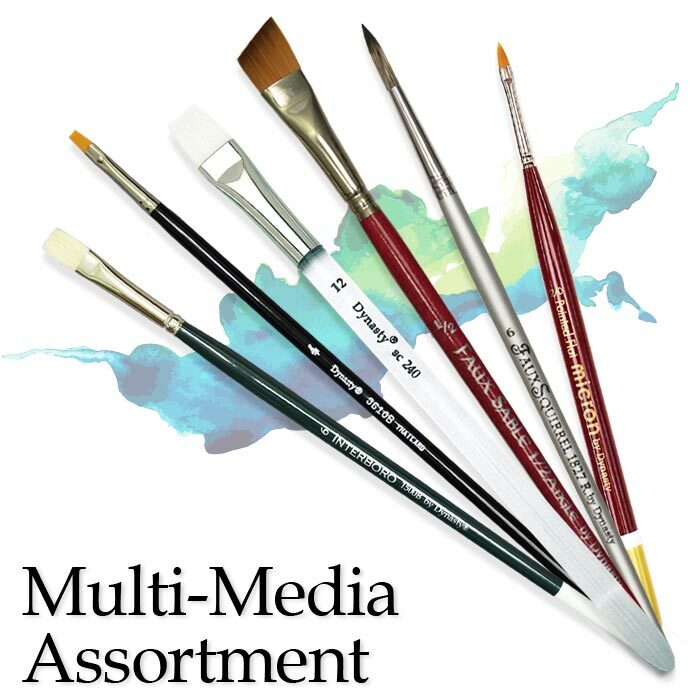 When space is at a premium, this display offers a brush for every medium and artist type.